Myeongjin Shin, co-founder of EOS Knights, one of the most popular EOSIO gaming apps in the market today, speaks to us about what makes his role-playing game (RPG) so special, and why blockchain technology is uniquely suited to the infrastructure of RPGs at large. 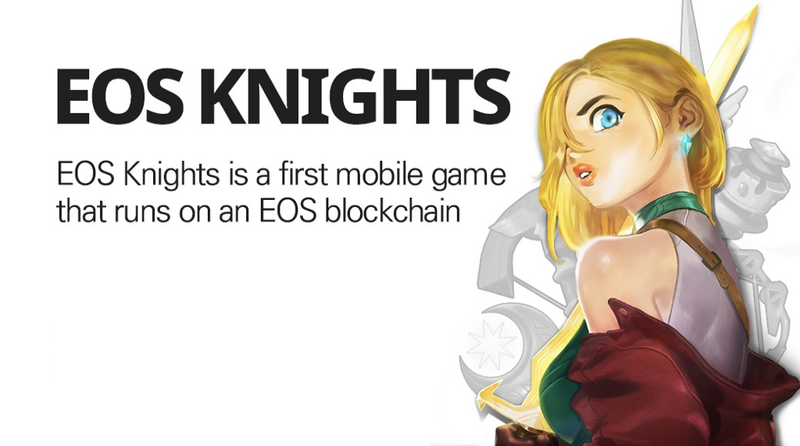 Myeongjin Shin: EOS Knights is a mobile RPG game that runs on the EOS blockchain. From the player’s perspective, it is no different from a regular RPG game, except that it runs on an EOS smart contract. Throughout the game, players can collect and craft up to 55 items, some of which include ‘Nature’, ‘Iron’, ‘Bone’, ‘Skin’ and ‘Mineral’. By crafting the items, the hero becomes stronger in the process. Players can also trade materials and items in the marketplace with EOS tokens. The game has been consistently ranked as one of the most popular applications on blockchain app analytics platforms, with more than 5000 daily active users and 200,000 daily transactions. Myeongjin Shin: I have always been an avid player of RPG games such as Diablo 2 and Monster Hunter. I also heard about Bitcoin when it was still in its infancy, and the idea of it inspired me to look into its underlying technology of blockchain. Inspired to marry my old and new interests into something revolutionary, I created EOS Knights, which is essentially a blockchain version of an RPG game, complete with material collection and item-crafting features. Additionally, the possibility of trading on the marketplace requires a strong trust component in the game, which necessitates smart contract capability, as the rareness and relative value of different materials can be permanently set by the contract, instead of by a game administrator who could manipulate data in the back end. As such, these requirements make EOS Knights a perfect project to be built on the blockchain. 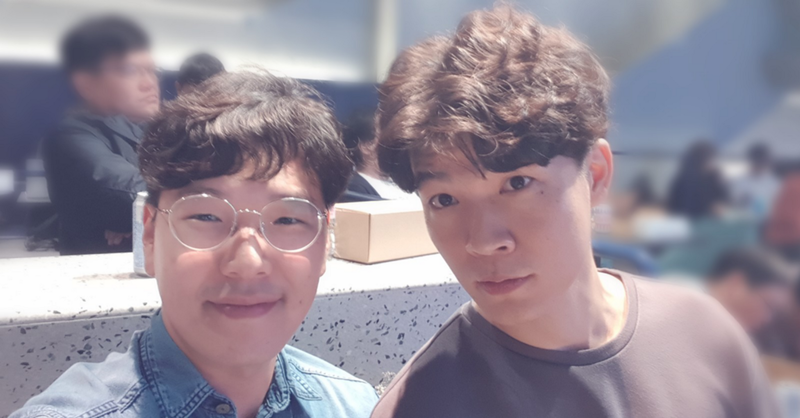 Myeongjin Shin: The team behind EOS Knights is Bada Studio, which consists of myself and fellow co-founder Seonhyang Kim. Both of us are experienced in our respective fields: I have worked as a game and smart contract developer for a decade, while Seonhyang has worked as a concept art designer for five years. We have both worked at LINE, which is one of the most popular instant messaging apps in Asia, while I have worked at Naver, one of the largest IT companies in Korea. Beyond the two of us, we also have four part-time staff members who help us build servers and support our UX/UI capabilities. Besides being well-versed in game development, we are also blockchain experts, which makes us a strong team. Myeongjin Shin: Since EOS Knights’ inception in August 2018, we have been adding more content to the application and fleshing out our roadmap. Ultimately, our vision is to help realize the mass adoption of blockchain through EOS Knights, as we believe that gaming apps are most likely to be the first catalyst behind the widespread use of blockchain technology. In the near future, we plan on making it possible for Facebook-certified users to create EOS accounts in the game. Myeongjin Shin: We appreciate blockchain for its transparency, which forms the foundation for a reliable in-game economic system. As all the gaming data is publicly available on the blockchain, it is not possible for the admin to modify players’ records at any point. This ensures that players can trust that all the digital assets and game data have been issued according to the rules set by the smart contract. From our perspective, EOSIO is the best platform to build a gaming app on, given its fast response speed, high number of transactions per second, and strong smart contract development. 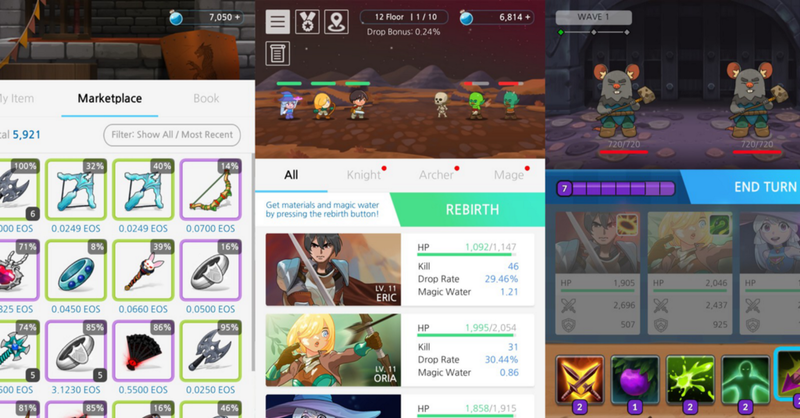 Myeongjin Shin: As seen from the popularity of EOS Knights on State of the Dapps and DappRadar, many users in the community enjoy playing our game. We have also set up language-specific user groups on Telegram and WeChat, where users have provided us with a lot of feedback and helped us improve the game. Some of them have even built stat calculators that provide us with EOS Knights game data, help calculate the drop rate, and reveal the top scored weapon. In the meantime, we will continue to refine the game and make it even more engaging for our users. #BuiltOnEOSIO: EOS Knights Proves Itself to be a Game-Chainger was originally published in eosio on Medium, where people are continuing the conversation by highlighting and responding to this story.